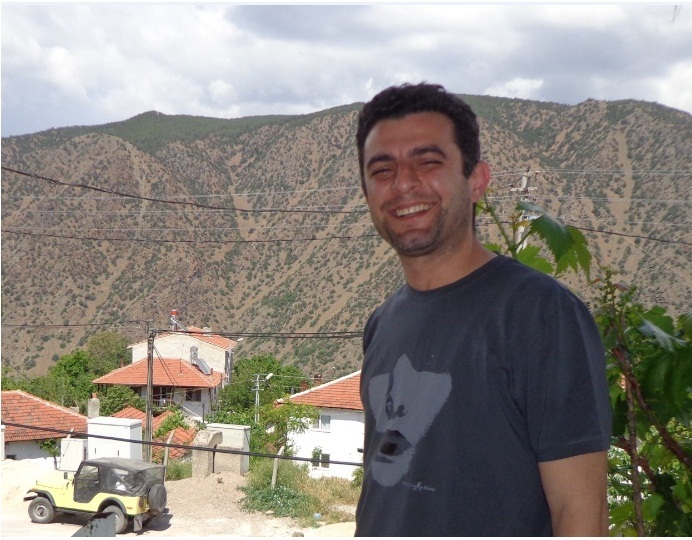 Ümit Ertem is a postdoctoral researcher in Ankara University Department of Physics. He will be visiting The University of Edinburgh for the next six months. He also writes on his own blog, sometimes. Spinors are mathematical objects used in physics mainly for defining fermions. Fermions are particles/field excitations that have half-integer spins as opposed to bosons that have integer spins. While fermions correspond to elementary constituents of matter, bosons correspond to the fundamental interactions of matter. There is a distinguishing property of fermions that an even number of them can combine to exhibit bosonic behaviour in analogy with the defining algebraic properties of half-integers and integers. So immediately one can easily grasp the fact that the product of two spinors represent the above mentioned bosonic construction out of two fermions. These compositions of two spinors are known as the spinor bilinears (or bilinear covariants) (SB) in the literature. Spinors are dynamical objects in the sense that they satisfy differential equations for the fermions they represent e.g. the Dirac equation; hence the associated SBs can be termed as dynamical. Logically one should expect that the equations of SBs will be bosonic field equations specified by the properties of the spinors involved. Vector fields whose flows preserve the metric are termed as Killing vector (KV) fields and they generate the isometries of the spacetime manifold, these are the basic geometrical symmetries of GR. The higher-degree anti-symmetric generalizations of KV fields are known as the Killing-Yano (KY) forms and are related to the hidden symmetries of spacetime, hidden because they don’t have direct geometrical interpretations like isometries. These hidden symmetries can also be interpreted as the inductors of conserved gravitational charges on p-branes. The conformal analogues of the above mentioned objects and symmetries (if exist) are well defined, this time these are called conformal Killing vector (CKV) fields and conformal Killing-Yano (CKY) forms. The kinematical character of these things is in the foreground which is manifest by their definitions. All these symmetry generators are bosonic since they are described by vectors or differential forms. From the above considerations we can say that spinors usually take on dynamical roles and (C)KV and (C)KY forms undertake kinematical roles. But some differential equations can impose kinematical character on spinors because of their close relation with KV and CKV fields. These are known as Killing spinors (KS) and twistors (or conformal Killing spinors) (TS) respectively; these kinematical spinors are the fermionic symmetry generators and together with the bosonic ones constitute the supersymmetry algebras in supersymmetric theories. The exact relation between KSs and KVs lie in the fact that the 1-form components of the associated bilinears of KSs are the metric duals of KVs, the same relation holds in the conformal case i.e. between TSs and CKVs . In our paper, published in Classical and Quantum Gravity we reached some general and intriguing results by using the strong mathematical techniques taken from Clifford calculus on manifolds and spin geometry. First of all we showed that for a TS the homogeneous degree parts of its SB which we call higher-degree Dirac currents (DC) satisfy the CKY equation. Also by using the naive algebra of homogeneous projectors, we reached to an inhomogeneous generalization of the CKY (ICKY) equation solved by the SB itself. Secondly, we found that for a KS the DCs or their Hodge duals (volume complements) satisfy the KY equation according to the data set including the Killing number appearing in KS equation, the degree and the involution class representing the chosen spinorial inner product and the induced involution on complex numbers. These two results tell us that kinematics generate kinematics! 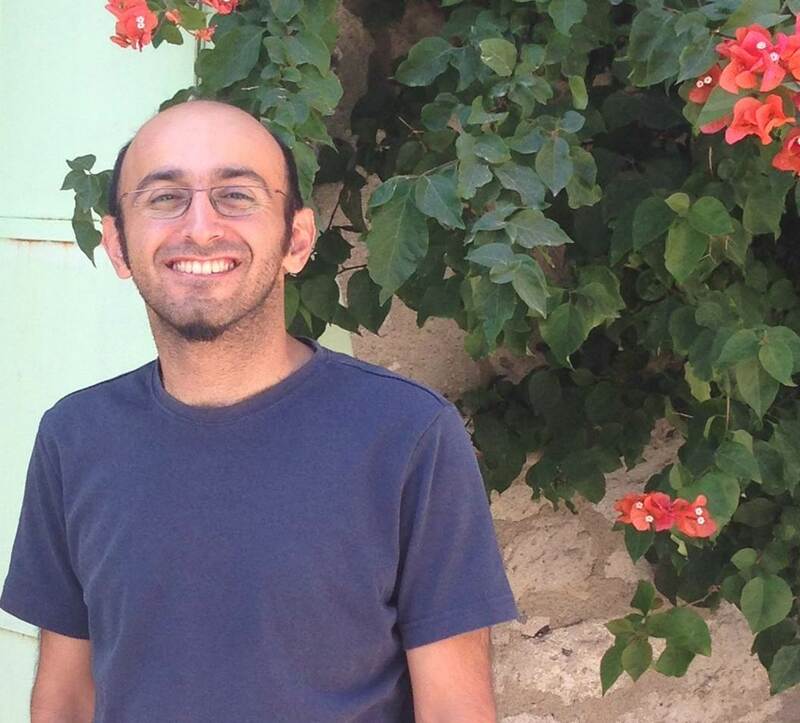 Özgür Açık is a researcher and a lecturer at the Physics Department of Ankara University. He will continue his researches at Lancaster University in UK for the next four months. Thirdly, for a KS, it is found that the even (odd) degree DCs behave like a p-form Maxwell field with sources supplied by the (p-1)-form part of SB where at the same time the Hodge duals of the odd (even) degree DCs exhibit the same behaviour as the even (odd) degree ones, but now sources composed from the one higher degree DC. The correspondence between two seperate sets of Maxwell-like equations, one for even(odd) the other for odd(even), give a duality between the field equations and Bianchi identities or equivalently between the related geometric (Noether-like) charges and topological charges. This duality is similar to the membrane-fivebrane duality in M-theory. Fourthly, for a special pair of neighbouring degree DCs, the seperate sets of equations combine to generate a new kind of dynamics given by the Duffin-Kemmer-Petiau field equations if the dimension of the spacetime is the sum of the neighbouring degrees. Again this result can be interpreted as the coupling of two bosonic branes with neighbouring degrees, sum of which is two less then the dimension of spacetime which is neccessarily odd in this particular case. However the exact physical meaning of the bosonic equations satisfied by the DCs is an open problem. The last two results tells us that kinematics generate dynamics! Seperating kinematics and dynamics from each other is a matter of taste according to the physical theory under consideration; for example in GR, kinematics and dynamics are determined simultaneously by the metric alone, so they are intertwined. Since the topology and curvature determines the existence of KSs, the GR example supports the induction of dynamics from kinematics that we have found. Another hint for this phenomenon comes from the interpretation of KSs as TSs solving the Dirac equation. We also showed that the existence of extra bosonic fields defined in supergravity theories does not change the situation and the higher-degree DCs of TSs and KSs still correspond to CKY and KY forms. We examplified this on eleven and ten-dimensional supergravity theories. On the other hand, CKY and KY forms have other relations to spinors, since they are used in the construction of symmetry operators of massless and massive Dirac equations. These are analyzed in our other CQG and PRD papers. The natural place of spinor fields in the Clifford bundle formalism gave us opportunities for using powerful algebraic techniques locally. A mathematically rigorous advantage of this formalism is the representation of spinor fields with inhomogeneous differential forms which conceptually proposes the reverse procedure of constructing fermions from bosons. The results we tried to transmit can be useful in many problems. For example in the problematic inclusion of fermions into pure-geometrodynamics, the dimensionality problem of space (or spacetime) and its deep relation to the stability of extended particles. Constructing extended supersymmetry algebras for supergravity theories is another open problem which also requires investigation of the relation between DCs and conserved gravitational currents. This entry was posted in Author Insights, IOPselect and tagged fermions, general relativity, spinors, twistors by Claire Fullarton. Bookmark the permalink.